DC Electric of the Hudson Valley, Inc.
Water Pipe Plumbing And Heating, Inc. Comment: I have 11 baseboard heaters that need to be changed due to pipes bursting budget. Comment: No heat in lower half of house. Comment: this is for basement. To have heating in basement from main heating of the house. Comment: Would like to add a zone of heating to the attic. New Windsor Heating & Furnace Contractors are rated 4.67 out of 5 based on 1,131 reviews of 30 pros. 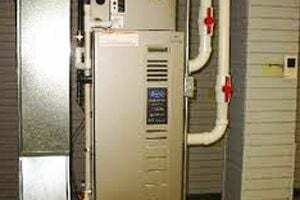 Not Looking for Heating & Furnace Systems Contractors in New Windsor, NY?